After all the big news revealed at E3, let’s recap some of the latest Pokémon news. 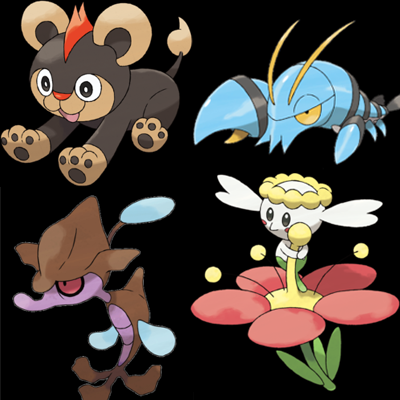 By now we’ve seen several new species of pocket monsters, a variety of attacks and the introduction of playable and non-playable characters. 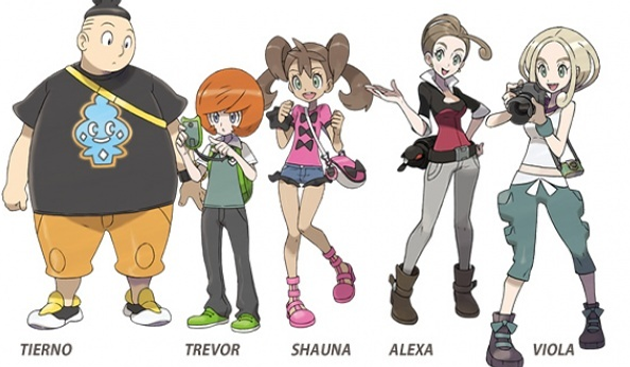 But now we’ll update you with names and descriptions of the trainers, towns and, more importantly, the Pokémon. Your adventure begins in your new home of Vaniville Town. You’ve just moved here and already making lots of new friends. Shauna is an energetic girl who begins her journey to find a dream of her own, she’s outgoing and always curious. Strong, kind and quick on his feet, Tierno is a dancer who wants to create a team of Pokémon that can showcase their dancing skills. Expect his team to be full of speed and agility. Another curious fellow is Trevor. He’s a studious and competitive trainer who will most likely have an array of strategies in battle. And finally, depending on which gender you choose, you will meet your neighbor Serena (if you chose male) or Calem (if you chose female). Both of them strive to become the greatest Pokémon trainers in the world and will become your toughest rival yet. Making your way out of Vaniville Town brings you to the first big stop of your journey — Santalune City. While the serene city has a beautiful water fountain and plenty of park benches to sit and relax, it also contains your first gym battle. There you will encounter Viola, a famous photographer and gym leader. Don’t let the name and occupation fool you, she’s actually a Bug-type trainer. Her gym is covered with spiderwebs and filled with darkness, find a safe path to the top in order to battle with Viola. You will also meet her older sister, Alexa, a journalist from the largest city of the Kalos Region– Lumiose City. Now for the fun stuff: new Pokémon. A Fire/Normal-type little guy is Litleo, a fiery lion cub. His mane burns bright in battle, especially when using a new move called Noble Roar which lowers an opponent’s Attack stat. Clauncher is a Water-type who has one large claw and one smaller claw. Not much is known about it, but all clues are pointing to it being a fast, hard-hitting Pokémon. Debuting as one of the new Fairy-types is Flabébé. You can find these almost microscopic guys clinging to flowers of different colors. They use an attack called Fairy Wind that will blow any foe away, especially Dragon-types. A new Poison/Water-type to catch is Skrelp. Based on a weedy seadragon, Skrelp are the Pseudo Grass Pokémon and will probably use their physical features to blend with any surroundings. Every generation needs a three stage evolution Bug-type. This time it’s Scatterbug, a small larval Pokémon who looks harmless but could give you a nasty bug bite. Scatterbug evolve into Spewpa, complete with a furry body that helps deflect any attacks. Based on the name, it may spew or spit at the opponent by using String Shot. After this comes Vivillon, a beautiful Bug/Flying-type. Its array of dazzling colors on its wings could help stun foes in order to make a quick getaway. Talonflame is the standard bird Pokémon found in the starting area and the evolved form of Fletchling. Despite the seeming lack of creativity in coming up with a name, Talonflame will undoubtedly be a ferocious Fire/Flying-type. The last Pokémon revealed was Noivern. The Sound Wave Pokémon emits ultrasonic waves from its ears so it can fly through complete darkness. It’s a Flying/Dragon type but one of the few that doesn’t resemble a dragon much. It appears tough and probably won’t go down easy. No matter how much Pokémon content is revealed, we’ll be sure to update you as much as possible. Enjoy the images and come back for more, you Pokémaniacs.